Wow... two big holidays in the same month. It won't be easy, but it'll definitely be fun! (And just think how nice April will be, especially if your spring break is in April... score!) I have a few more "Minute-to-Win-It" games to share with you... this time for Easter. They're perfect to use at school, but they're also fun to play with friends and family at home. For this game, you'll need jelly beans and an Easter bucket (or basket) for each pair of children. Pairs stand facing each other, about 10 feet apart. (You can adjust this distance depending on the age of your children.) On "GO," one partner tosses a jelly bean toward the other partner who tries to catch it in the bucket. Play continues this way, tossing only one jelly bean at a time, until a minute has passed. The pair with the most jelly beans in their bucket is the winning pair. 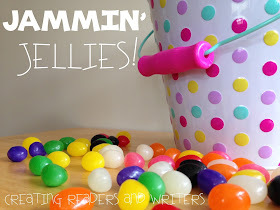 Note: The child holding the bucket can move it to catch the jelly beans. • Have older children hold the bucket on top of their head. • Provide a larger plastic bowl for younger children. • If time permits, let the partners switch roles and play again. This game is similar to the first game. Place students in pairs and have them face each other, about 10-15 feet apart. I recommend marking off this distance with masking tape so they know where to stand. Give one partner a bag of baby carrots. At the opposite end, place a large bowl or box filled with Easter grass. The second partner stands behind the bowl, facing their partner. 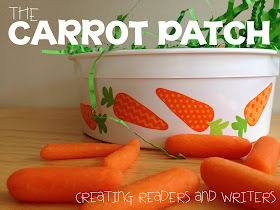 On "GO," the partner with the carrots tosses them, trying to land the carrots in the grass... or "The Carrot Patch." Any carrot that lands in the grass stays, but any carrot that lands outside of the grass is out. The second partner tosses those carrots back to the first partner so they can try again. I let the partners toss as quickly as they want to in this game, so it's possible both partners might be tossing at the same time. It's a bit crazy, but so fun! 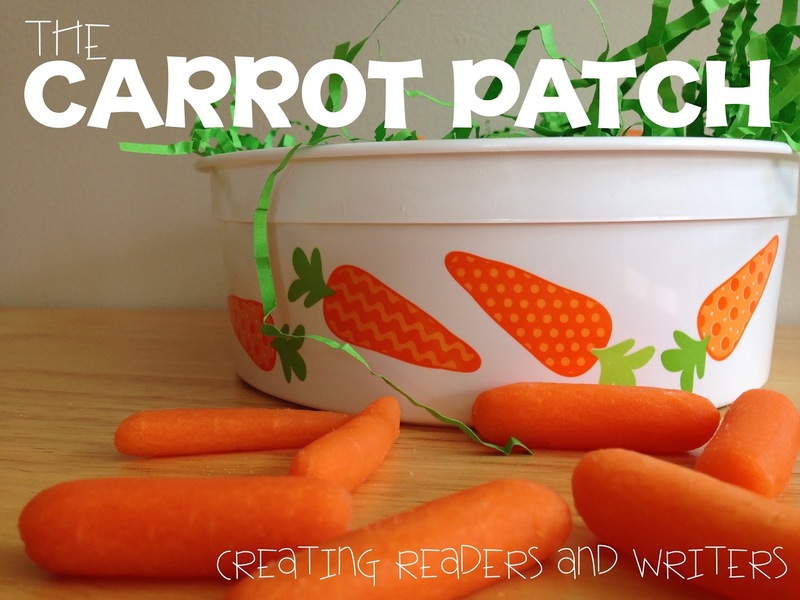 The pair with the most carrots in the "patch" at the end of one minute is the winner. • Increase the distance for older players. • Provide young children with a larger "patch," such as a hula hoop. • Double the time for greater success. 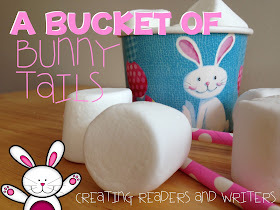 In this team relay, children are basically moving bunny tails (large marshmallows) from one bucket to another. Use masking tape to mark off two long lines about 20-30 feet apart. One line will be the starting line and the other line is where each team's bucket will sit, waiting for bunny tails. Divide students into teams of 3-4. Give each team a large bowl of marshmallows and a "tool" for carrying the marshmallows to their team's bucket. You can use chopsticks, straws, toothpicks, or spoons... whatever will be most fun for the age you teach. When you're ready to play, have teams line up on the starting line. On "GO," the first player on each team picks up one bunny tail with the "tool" and moves across the floor to drop it in the bucket. (No helping-hands allowed.) You can decide how you want your kids to move... walk, run, hop, skip, side-step... be creative. When the tail lands in the bucket, the child races back to their team and hands the tool to the next person in line. Play continues in this way for one minute. When time is called, the team with the most bunny tails in their bucket is the winner. • Let young children use their hands. • Challenge older children by using mini-marshmallows. • Form smaller teams for higher engagement. This is a partner game that uses a paper bag and plastic Easter eggs. Prior to playing, ask a volunteer to prepare your paper bags. 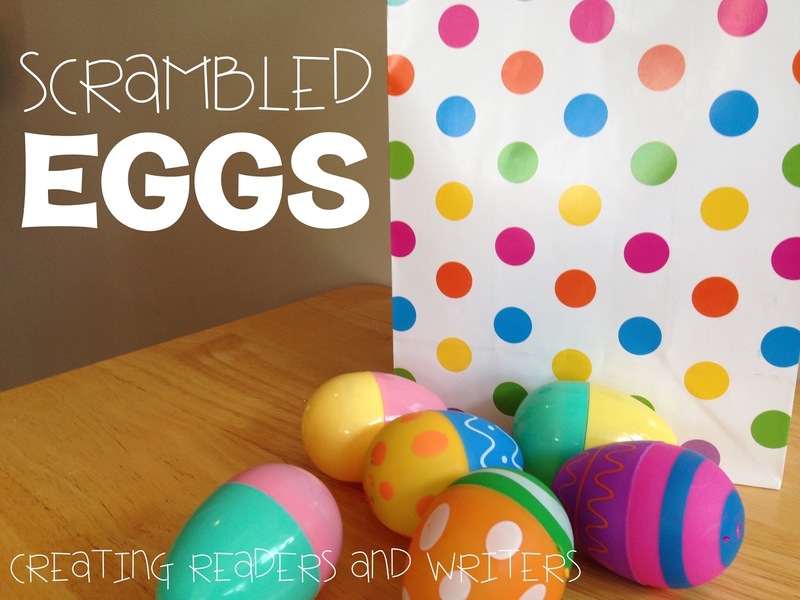 You'll need one paper bag filled with mixed-up eggs for each pair of children. On "GO," the partners have to work together to take the mixed-up, or scrambled, eggs out of their paper bag and fix them by putting matching tops and bottoms back together. The catch? They can each only use one of their hands during this minute... the hand they DON'T write with. They have to keep their writing-hand behind their back during the game, working together to take the eggs out, pull them apart, and snap them back together correctly. At the end of one minute, the pair with the greatest number of matching eggs is the winner. • Allow younger children to use their dominant hand, or both hands. The idea of this game is simpler than the actual task. Divide students into teams of 2-4, depending on your preference. Give each team a pack of 5 Peeps and some type of connector, such as sturdy straws or toothpicks. 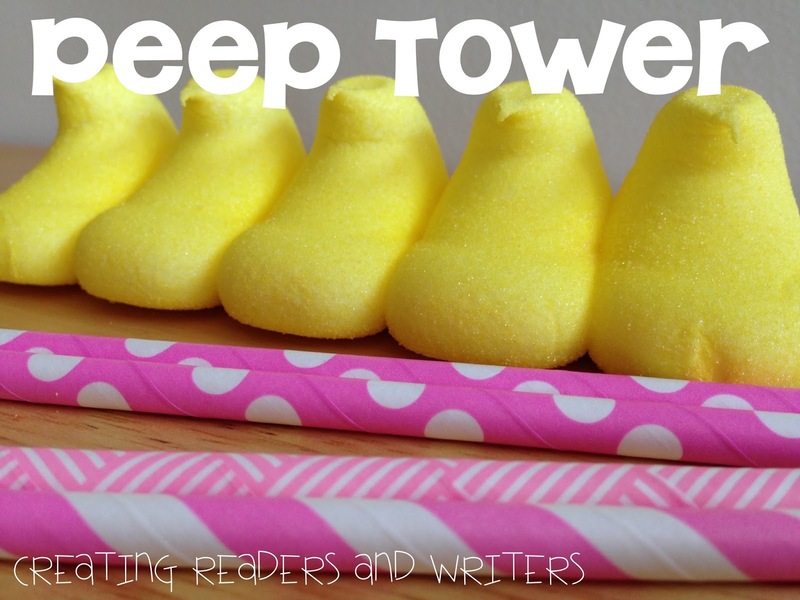 On "GO," each team works together to construct a tall tower of Peeps. At the end of one minute, the team with the tallest tower is the winner. Work a little literacy into your game schedule! Put children in groups of 2-3 and give them the letters in the word EASTER. 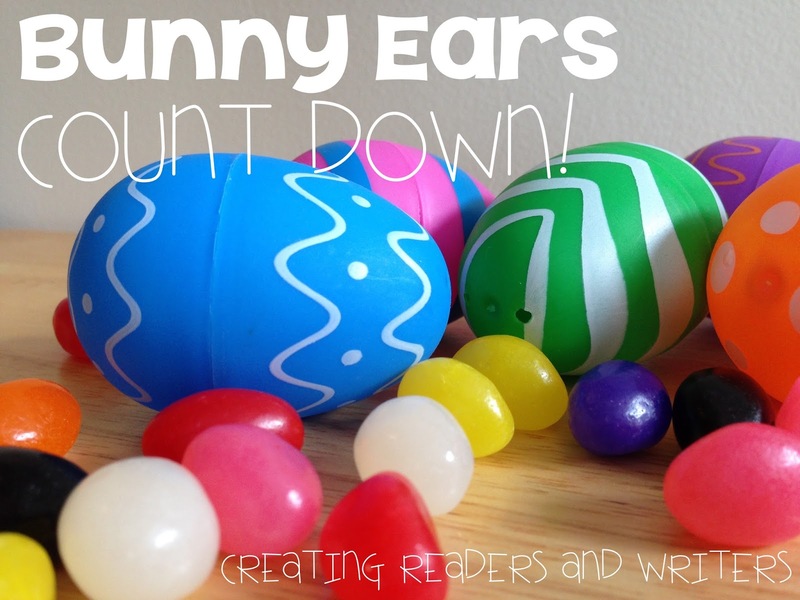 How many words can they make using only the six letters in the word Easter in just one minute? Ready, set, WRITE! At the end of one minute, the team with the most correctly spelled words is the winner. 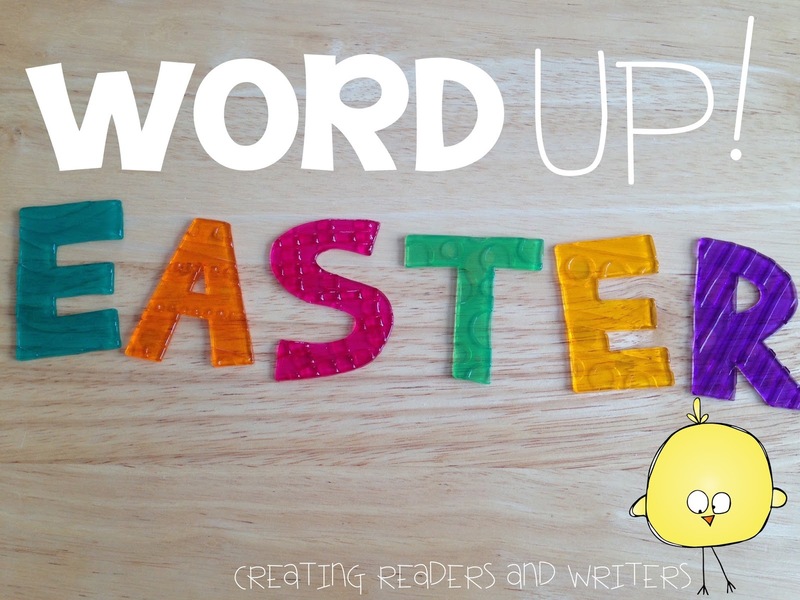 • Play again using a different holiday word, such as RABBITS or BASKET. • Provide more time for younger students. Want to save these ideas for later? Use the PIN ME button from your favorite picture to save this post on your Pinterest page. Thanks ! Using these great ideas on Sunday with the Grandchildren !! Happy Easter !